While I fully believe that enjoying premium brandy is a subjective process, there are those products that seem to stick out from the pack for most enthusiasts. This post takes a look at which of our local brandies are winning brandy awards and performing at spirit competitions, both locally and abroad. Brandies for Veritas judging are entered in two categories, namely standard (aka blended) and potstill (which as far as I can tell includes both potstill and vintage). The good news is that all tastings are done blind, which means no bias can be shown towards any specific brands. 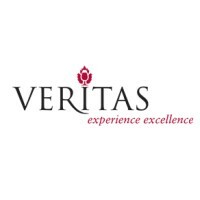 For Veritas, 18/20 points or more wins double gold, 17 gets a gold medal, 16 for a silver and finally bronze at 15 points. Double gold medals went to Flight of the Fish Eagle, KWV 15 Jr and Van Ryn’s 12yr Old Distillers Reserve. While I am not surprised to see my favourite from the VR stable walking away with a double gold, and as yet can’t speak for the KWV 15 JR, I am very impressed by Fish Eagle being up there at the top. Remember, these brandies are tasted blind, and in no other category (as far as I can tell) than potstill. A number of well knows to me made it into the gold category, along with a few I have yet to get my hands on. Imoya, Joseph Barry Muscat Pot Still Brandy, Klipdrift Gold, KWV 10 Jr, KWV 20 Jr, Laborie Alambic, Ladismith 8yr Pot Still Brandy, Oude Meester Souverein 18yr Old, Tokara Five Year Old Potstill Brandy, Uitkyk Estate Brandy Grand Reserve 10yrs, Van Ryn’s 10yr Old Vintage, Van Ryn’s 15yr Old Fine Cask Reserve, Van Ryn’s 20yr Old Collectors Reserve all walked away with some single barrel bling. With this competition, things start getting a little more complicated, and in my opinion a little less indicative of true worth. Unlike the Veritas awards, IWSC required entry into a number of specific categories relating to not only the country and style of brandy, but its age of maturation too. So in essence, you only have brandies from the same countries competing against each other, and only in their specific age and style category. 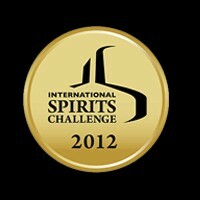 One great award however, coming out of IWSC is the much coveted title of best brandy in the world. This is rated across all worldwide brandy entrants. And the best thing here – South African Brandies have won this prize 9 times out of the last 12 years. That’s a pretty good record! Most recently this went last year to Van Ryn’s 20yr Old Collectors Reserve, another one of my favourites. full results can be found on the IWSC website. 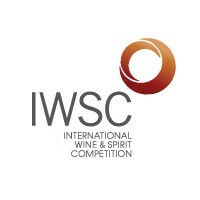 This competition is run in similar categories to the IWSC, but less specific in terms of an age stamp. All of our brandy competes in the same category at these brandy awards, so in essence this is similar to the Veritas awards, and the tasting is also done blind. The scoring system for these awards works as follows: Trophy awards go to products that score 90-100 points, and are classified as “Outstanding product, exceptional quality”. Gold medals start at 8–89.9 points and are classified as “Excellent product, superb standard”. A Trophy Award and a gold medal went to KWV’s 10 year old, which I have had on a number of occasions and do find it a very good brandy as well, but I am not sure of its trophy status in my mind. Another gold medal was awarded to the KWV 15 year old as well. Strangely at this competition, most of the strong Distell offerings were down in the silver medal stakes, with none picking up gold medals last year. Another indication of the subjective nature of tasting such varied and unique products! Great for KWV, well done. Full results can be found on the IWSC website.